It is the responsibility of all dog owners to remove their dog’s waste from the grounds. Note also that dogs are not permitted to urinate in the landscaped areas either on the rocks or in the shrubs! The urine smell remains until it rains, and the urine has a negative effect on the health of the shrubs and trees that are planted in these areas. Take your canines to the large fields either north or east of the complex. If the above rules are not followed, the Board will levy cleanup charges on the pet owner, and, if noncompliance persists, will require removal of the pet from Tuscany Square. 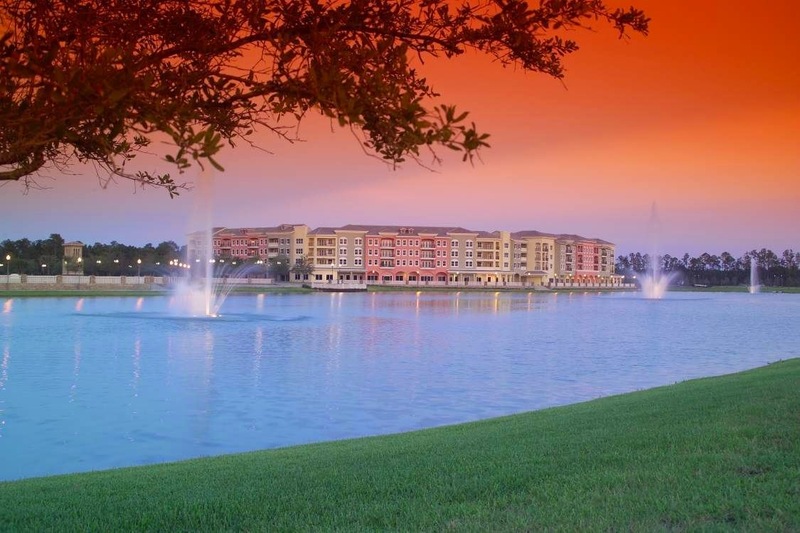 (Section 18.6 Declaration of Condominium-Tuscany Square and Section 2.13 Declaration of Covenants and Restrictions for Venetian Bay Subdivision provide the Board with full authorization to execute these actions). First offense: $50.00 cleanup charge and a warning letter outlining the violation. Third offense: 100.00 cleanup charge and removal of pet from Tuscany Square. An Occupant may maintain no more than 2 four-legged pets in the Unit, to be limited solely to dogs (not to exceed 20 pounds each) or cats, provided same are not kept, bred or maintained for any commercial purpose, do not become a nuisance or annoyance to neighbors and are first registered with the Association. The only other pets permitted upon the Condominium Property shall be birds and fish, which animals (a) shall not be kept in or on the Common Elements or Limited Common Elements but which shall be required to be within the boundaries of a Unit at all times and (b) shall not become a nuisance or annoyance to neighbors. The owners of the pet must pick up all solid wastes of their pet and dispose of such wastes appropriately. All dogs and cats must be kept on a leash no more than six (6) feet in length at all times when outside the Unit and shall be walked only within areas, if any, designated for such purpose by the Association or the Master Association. No pets may be kept in or upon any Limited Common Element appurtenant to a Unit (the balcony) when the owner of the pet is not in the Unit. The owner of a pet shall indemnify the Association and the Developer and hold them harmless from and against any loss or liability of any kind or character whatsoever arising from such owner’s having any pet upon the condominium Property. All owners of pets are required to clean up all pet droppings deposited on the Common Elements. If any pet owner fails to clean up after the pet, the Association shall perform such service or cause such service to be performed and charge the offending pet owner for the costs associated therewith. Any complaints filed by residents of damage caused by a pet shall be submitted in writing to the Board, which shall determine the amount of the damage and notify the person who owns the pet in writing to make the necessary repair, replacement or removal (as the case may be). lf such person fails to properly act within 15 days from the date of such notice, or fails to otherwise reach an agreement in writing with the Board as to the payment for such damage or remedying any other violation within 15 days from the date of such notice, such person shall be required to permanently remove the pet from the Condominium Property. Payment for damages pursuant to this subsection shall not be in lieu of any right of action which the person sustaining the damage shall be entitled to independently. (a) If the complaint is the first infraction, the Board shall notify the pet owner of the infraction in writing and formally request that no such infraction again occur. (b) If the complaint is the second infraction, the Board shall notify the pet owner and warn such owner that the next infraction will cause a penalty fine to be assessed. (c) lf the complaint is the third infraction, the Board shall notify the pet owner of the continuing violation and refer the matter to a committee of three (3) Unit Owners, none of whom shall be presently serving on the Board or be related to a director or the offending pet owner, for a determination as to a fine for the continuing infraction. Such committee shall, within 7 days following issuance of the notice of third infraction to the offending pet owner, determine whether a fine should be levied for such continuing infraction and provide a recommendation thereon to the Board. The amount of any fine shall not exceed the maximum amount allowed under the applicable provisions of Section 718.303, Florida Statutes. If a fine is recommended by such committee, the Board shall issue a written notice to the offending pet owner advising of the levying of the fine. However, such fine shall not become due and owing until such pet owner has received such written notice and has been given the opportunity to request a hearing before the committee of Unit Owners described in this subsection (c) at a time and date which shall not be more than 30 days after the date of such notice. In the event the offending pet owner elects not to seek such a hearing, the recommendation of a fine made by the committee shall become binding upon the Association and the pet owner. If such a hearing is held the decision of the committee as to whether to rescind, modify or ratify the proposed fine shall be binding upon the Association and the pet owner. All decisions made by such committee shall be made by majority vote. (d) If the complaint is the fourth infraction, the Board shall notify the pet owner and demand that the pet be removed from the Condominium Property within 30 days from notice. Prior to taking the action contemplated in this subsection (d), such pet owner shall have the same opportunity for notice and a hearing as provided in subsection (c) above. Infractions for purposes of this Section shall accumulate only on the basis of separate 12 month periods with each new period commencing on the annual anniversary date of this Declaration (“Infraction Period”) In other words, the number of infractions in any Infraction Period shall not be carried forward into the next Infraction Period for purposes of the enforcement of this Section.